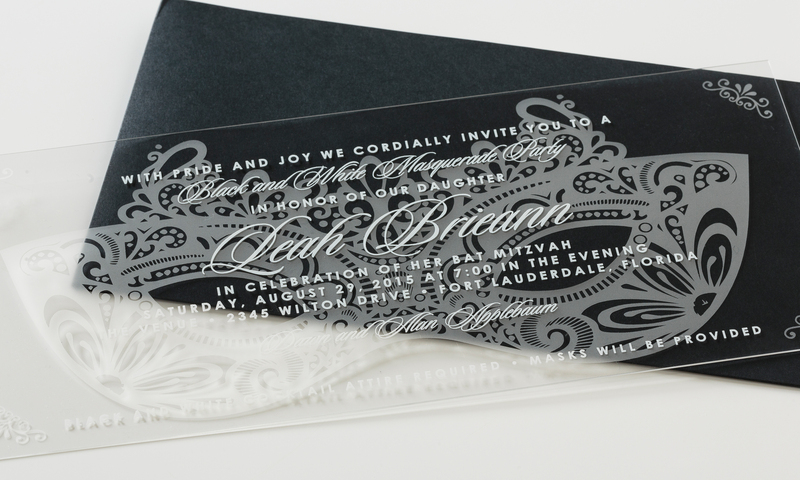 This clear, plastic invitation set the tone for a Phantom of the Opera themed bat mitzvah celebration. Guests wore black and white and chose from a wall of white masks to attend the party in masquerade, while the guest of honor, Leah, wore red. 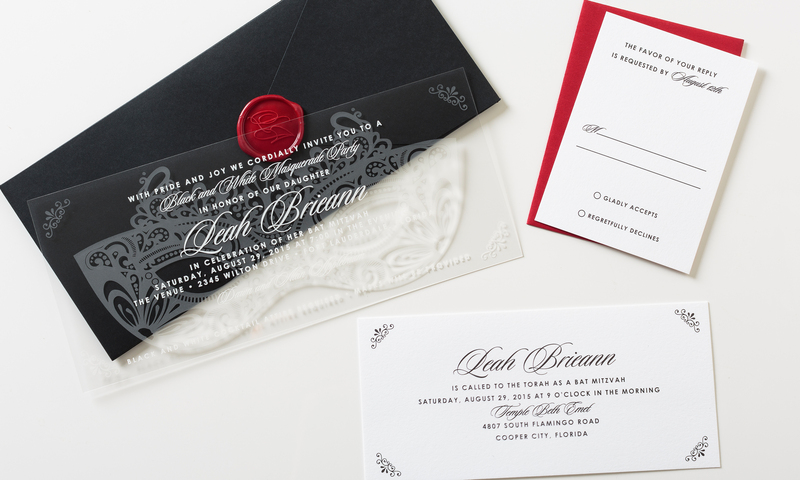 Black and white accessories with a red response card and wax seal completed the set.